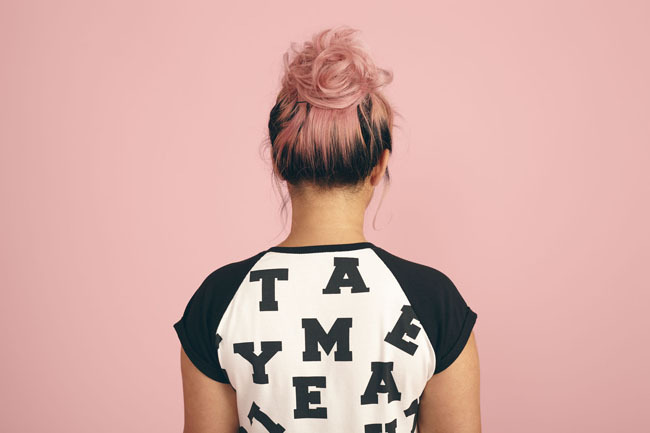 A classic t-shirt is a must in everyone's wardrobe. 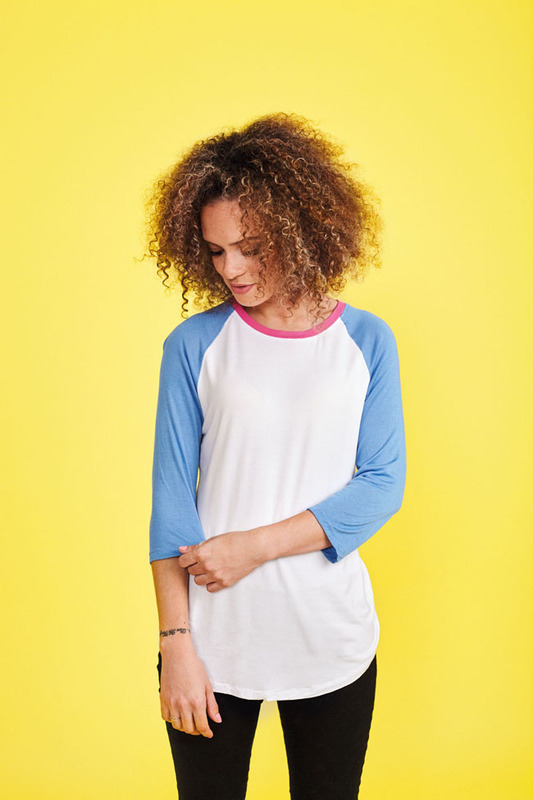 I love the seventies style of a baseball T and knew I had to include one in my new book Stretch. The only question was what colours to choose - soooo many lovely options! 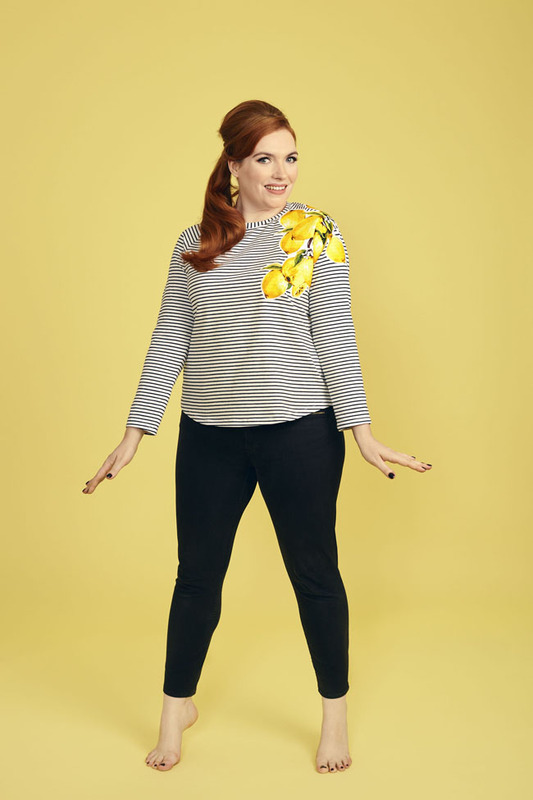 Designed for single knit jersey, the Frankie T-shirt is the second pattern in the book. 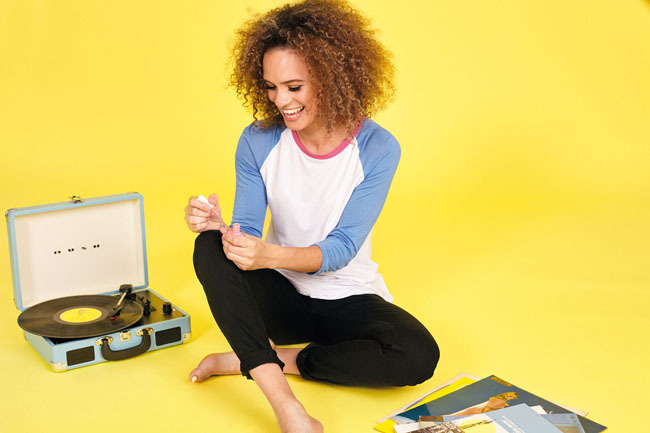 It has a relaxed fit, with easy-to-sew raglan sleeves, a round neckband, gentle curved and dipped hem, and a choice of full length, three-quarter or cap sleeves. 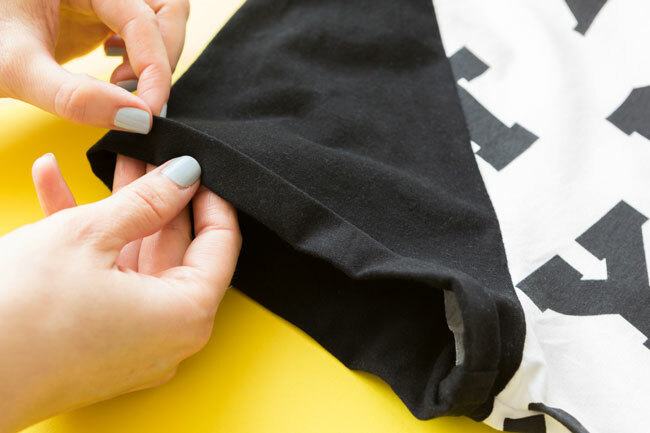 Don't worry if you've never sewn a t-shirt before! 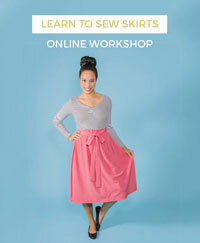 The book teaches you how to make this top on either a regular sewing machine or an overlocker (serger). I show you all the techniques involved, such as creating a neat and tidy neckband. 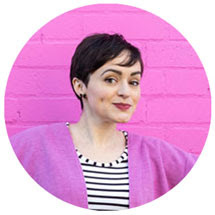 Make the Frankie T-shirt in single knit jersey that has a slight stretch to it (it needs to stretch crosswise 10% or more). You can of course make the whole thing in the same fabric for a basic staple top. How about embellishing it with some applique? The book shows you how to do this with scraps of woven fabric. 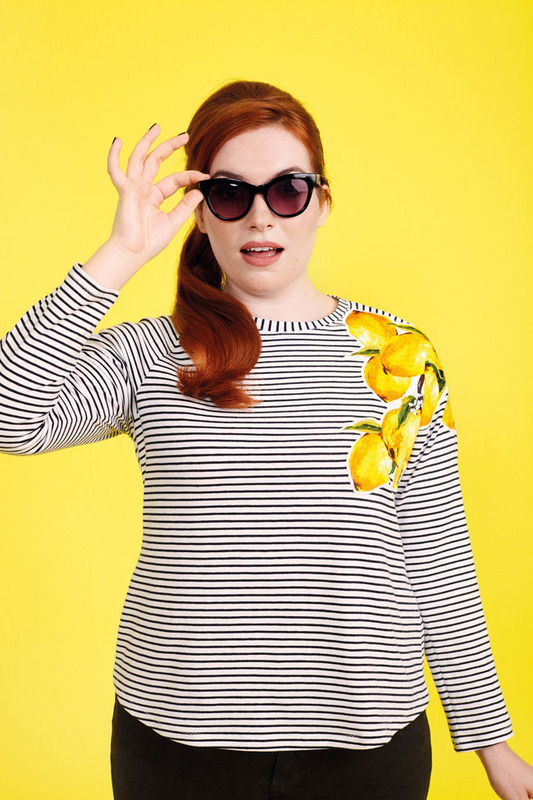 I chose to channel the lemons trend - I lurrrrve how they look stripes! Try this with florals or animal designs too! I want to make one with lobsters on the shoulders, oh yes. There's an option to sew the sleeves with short turn-up hems for Summer. Plus you can add a V detail to the neckline to give your top a sportswear style. There are six patterns included in the book printed on full scale sheets - no need to download them. The sheets are double sided, and some of the pieces are overlapping so you'll need to trace your size onto paper, or you could trace them directly onto your fabric with dressmaker's carbon and a tracing wheel. There are eight sizes included, from UK 6 to 20 / US 2 - 16 / EUR 34 - 48 - you can see the measurements on the sizing chart. Making the Frankie T-shirt? 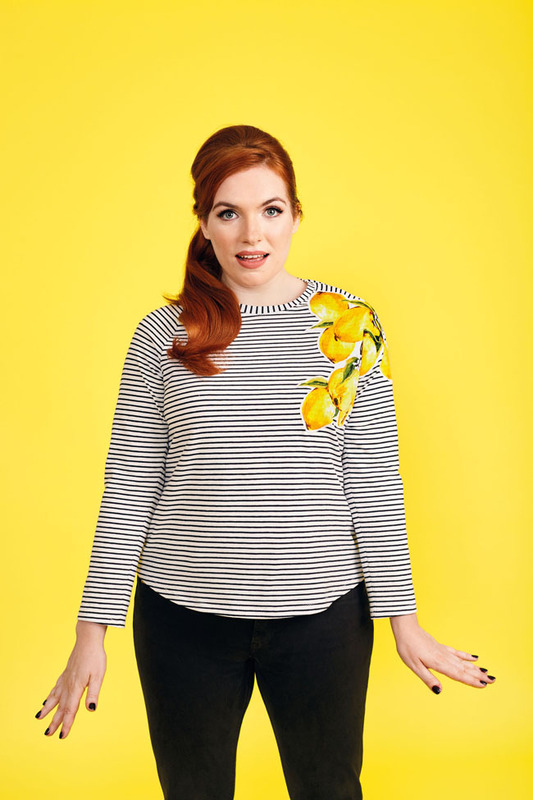 Please share a pic with us on Instagram @TillyButtons with the hashtags #StretchSewingBook and #SewingFrankie so we can see! Stretch Patterns - It's the Joni Dress! Stretch Patterns - Say Hello to Stella!